I’m about to go full Brady Bunch up in here. If things aren’t working out in your business, life, relationships, I’ll take a shot and guess that the issue is: mindset, mindset, mindset. You’ve probably heard a lot about mindset lately. Even though many entrepreneurs talk about mindset on a regular basis, they aren’t necessarily providing a lot of guidance about what it is or how to do it. That changes NOW. I’m going to dissect what mindset is, how it works, why it matters, and how to do it. Ready to get your mind right? Let’s do this. Hey, so, here’s the thing. Mindset isn’t this newfangled thing that all the cool kids are trying out. Mindset has been around for a few years. Like, since the dawn of time. It wasn’t until the Industrial Revolution that philosophers and scholars really began to take notice of the concept of mindset when it comes to a successful and happy life. Napoleon Hill’s Think & Grow Rich tapped into the concept of mindset associated with financial beliefs in 1937, and countless other authors began to write about mindset. But if we’re being honest, Dr. Carol Dweck literally wrote the book on mindset; that is, Mindset: The New Psychology of Success. And this is where I come to a screeching halt. See where it says “psychology” in the title of that book? Yeah. It’s science. Science, people. Mindset isn’t some woo-woo, ultra spiritual, other worldly concept. This is real life. This is the power of your human brain, and your human brain alone. That’s right. All you need to do is use your noodle. No crystals, no totems, no postures or chanting, or dropping Benjamin’s on an energy healer. Your brain is powerful beyond measure. The mindset that your brain resides in determines how you will live your life, how you perceive events and emotions, and how you make decisions, large and small. With all of that being said, mindset can be defined as the belief of the following: the self, the other, and the universe. These beliefs can be negative, positive or neutral. Your mindset is founded in your brain. In order to understand how mindset works you need to break down the various components of the concept. Based on the definition of mindset above, we know that mindset consists of 3 components: the self, the other, and the universe. Within these 3 components can exist a positive or negative or neutral mindset. Let’s break it down further. This component of mindset is probably the most self-explanatory (no puns intended). The beliefs of the self encompass EVERYTHING you believe about yourself. And I mean everything: your belief about success, your belief about relationships, your belief about money, your belief about body image, and on and on and on. This is your internalized beliefs about yourself. I know this sounds like a horror movie, but it’s actually not as scary as it sounds. The other is your belief about everything that is outside of the self. Everything outside of the self includes: your belief about your friends, family, relatives, coworkers, your belief about your job or your educational pursuits, your belief about your possessions, etc. Remember, these are your beliefs about everything outside of yourself. Have you ever taken a course about economics? If so, you’ve probably heard the terms micro- and macro-economics. Microeconomics refer to smaller economies, such as economies of the individual or small groups. Macroeconomics refer to larger economies such as the global economy. If mindset was defined in economic terms, the self and the other are micro-mindsets. The universe is the macro-mindset. If that is confusing, please forgive me; I’m a business major, so this is how my mind works. But the universal aspect of mindset is your belief about the world, the galaxy, and the universe around you. The universe is quite expansive, but the point is to identify how you feel about the universe in either the positive, negative, or neutral concept. Your mindset matters because your mindset basically determines everything you do. It determines your productivity. It determines how you speak to your friends, your family, and your coworkers. Mindset determines your views on money, career, love, and life. And this is where I tell you that it still isn’t all woo-woo. Remember the characteristics of the 3 components of mindset? Your mindset is either positive, negative, or neutral. So let’s think about that for a minute. If your mindset around money is negative, you might be having trouble with money. If your mindset around relationships is negative, you might be having trouble in your relationships. What if your mindset around money was positive? What would that do for your ability to earn an income or to produce revenue in your business? What would a positive mindset around relationships do for your marriage? For your relationship with your kids? What could that kind of mindset do for you? Working on mindset is going to be a bit different for everyone. But honestly, it all starts with a simple shift in the way that you use self-talk. Self-talk is the internal voice that you use to speak to yourself every single day. Hundreds of studies have been conducted on self-talk. Self-talk begins when we are toddlers, and continues throughout our lives. Like mindset, self-talk is either positive, negative or neutral. See how that goes? Positive self-talk: I look good. Negative self-talk: I look horrible. Neutral: That’s me. This is a simple explanation of self-talk, but it’s something that we all do every single day. Our self-talk practices determine our mindset. When we speak to ourselves kindly and with love and positivity, we promote a mindset of growth. The growth mindset is what we want to aim for. THIS is what people are talking about when they talk about the power of mindset. The growth mindset is what allows for expansion in your life and business. THIS is what gets you to a state of balance and sustainable happiness. Let’s practice this shall we? All you need to do is shift your mindset to start thinking positively. For example, if you are having trouble around your mindset with money, you’ll want to start shifting this mindset towards more positive thinking. You’ll change your self-talk tape to play this: I will be a millionaire. 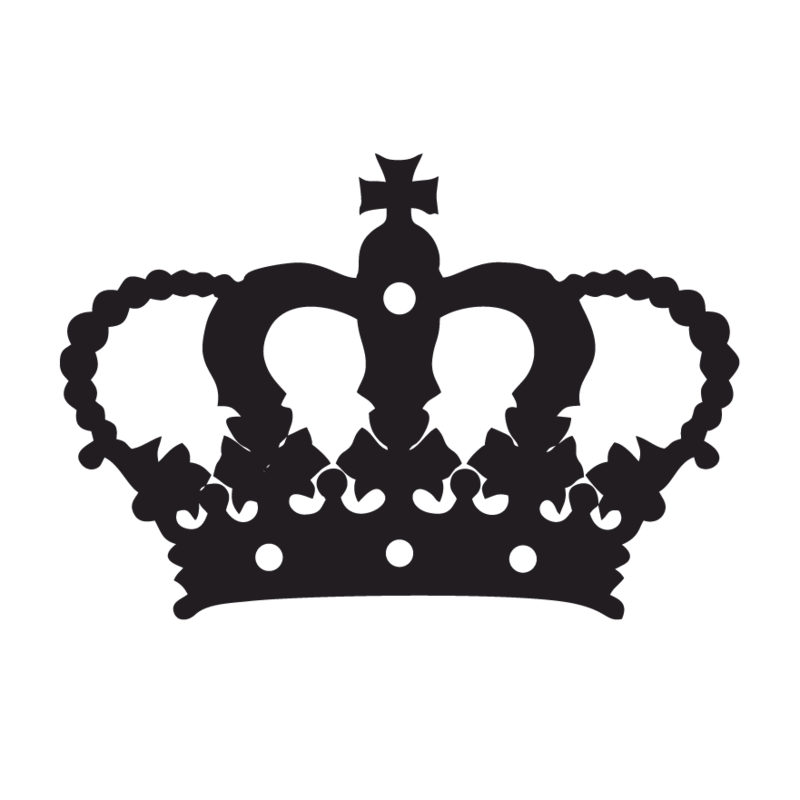 I will be a millionaire because I am in charge of where and when I spend or save my money. See the difference? The first thought is founded in negativity and blame. The second is based in controlled intention towards a positive goal. 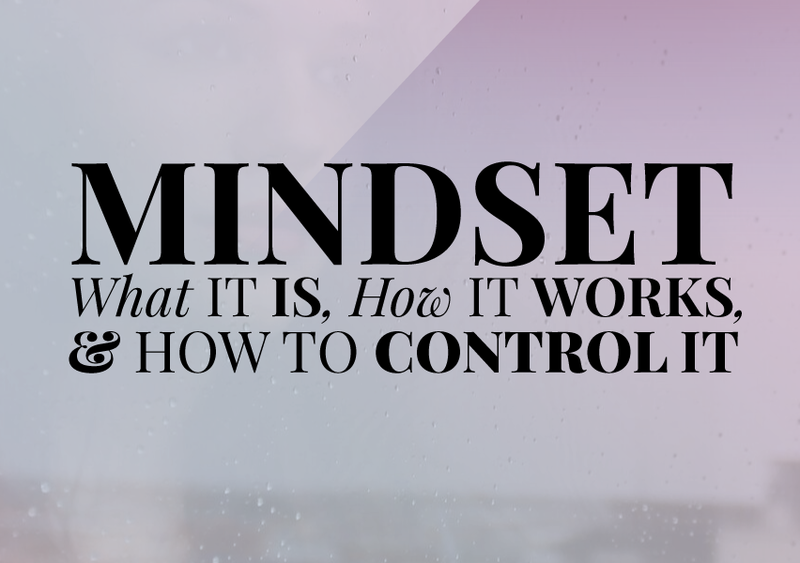 Even though we’ve covered a lot about mindset in this blog, it still takes SO much more than a 1000 word blog post to uncover the benefits of shifting your mindset. Which is why we’ve created The Shift Script for you to fill out and begin practicing your growth mindset. 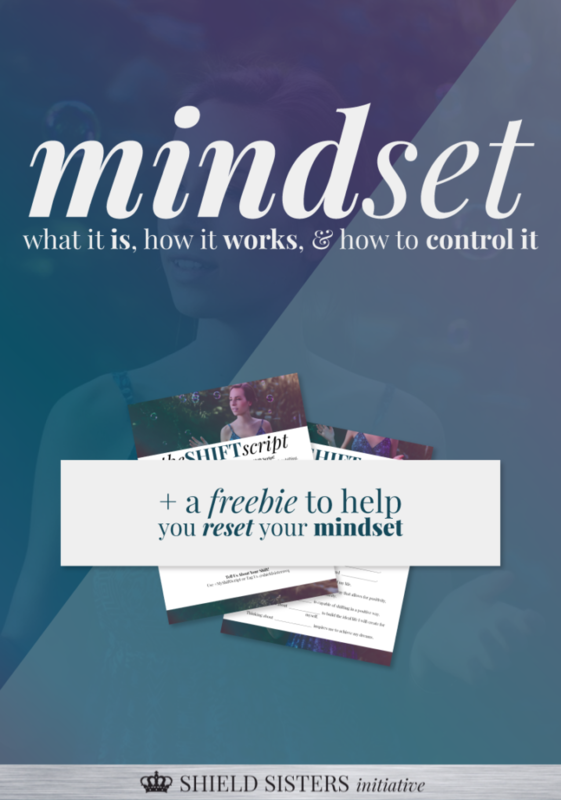 This Shift Script worksheet helps you to identify a few things that might be blocking your positive mindset, and allows you to create a simple mental script to practice in order to shift the fixed mindset you are currently experiencing. Make sure that you print out this worksheet, and physically WRITE to fill in the blanks. The act of writing assists to solidify the intention in your mind by combining the physical process of writing with the mental intention to shift the mindset. Another suggestion, make a copy of your completed worksheet and place it in a few different areas around the house. By seeing this completed worksheet multiple times throughout the day, you’ll be reminded of your practice of shifting your mindset, and you will strengthen your mindset muscles!!!! It’s like pilates for your brain. If you loved this post, we’d love for you to share it with someone who could benefit from this info! Feel free to share it on any of the social media platforms. This post is UH-MA-ZING, Megan. Thanks so much for sharing!